Still very much a part of the industry- and not currently trying to burn bridges- he isn't spilling any tea just yet. However, that doesn't mean the book isn't full of good stuff. 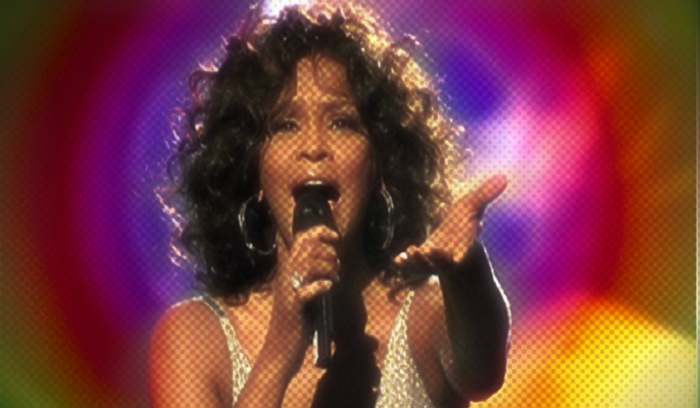 One such part refers to his first experience working with the the legendary Whitney Houston. Having never met her, L.A was unsure of what to expect. However, he wasn't just surprised at how down to Earth the Diva turned out to be, but was also shocked at the level of musicality and vocal professionalism she exhibited. Speaking on her time in the studio, he said, "I had never heard anybody sound that good, ever. Not even close." A massive compliment considering the names he has worked with. "Whitney flew to Atlanta and the limo service failed to pick her up. I made the forty-five-minute drive in a mad rush from Alpharetta to the airport, and I am not that good a driver under the best of circumstances. I had never met Whitney before, so I didn’t know what to expect. I was looking around the terminal for maybe a mini-entourage, maybe an assistant, when I saw a lady sitting on a bench alone in sunglasses and a scarf. I made my apologies and whisked her off in my car, only now I was even more nervous. There was nothing in my playbook about driving around with the stars, and I was driving around in my car with Whitney Houston. I small-talked and played the radio. We hit it off instantly. We sang along to the songs on the radio together. That forty-five-minute ride felt like about five minutes. When I got back to my house, the first thing I did was introduce her to my wife. She and Pebbles started gabbing “about shoes and shopping, making that girl pop star connection immediately. We had written “I’m Your Baby Tonight” for her, and Clive found this song, “My Name Is Not Susan,” that he wanted us to produce with her. She knew the songs from the demos and had done her homework. We walked over to LaCoco, and before she stepped into the vocal booth, she stopped. She got behind the mic and belted that song, nailed it on the first take, right up to the bridge, which we still needed to write. “Okay, baby, give me another try,” she said. She did it again and nailed it a second time. “Okay, what else you need?” she said. “I guess we need to write the bridge,” I said, and off she and Pebbles went to the mall. While they were at the mall, I went down the block to Kenny’s house and we wrote the bridge. When the girls returned from shopping, Whitney went back into the studio and polished off the bridge. Whole song, top to bottom, vocal time spent: one hour. We finished that song and “My Name Is Not Susan.” Whitney went back to New York. We wrote a song for her called “Miracle,” and Clive wanted us to do another one he found called “Lover for Life.” Whitney came back to Atlanta one week later and she knocked out these two songs like they were nothing—pow, pow—only now we were used to it. She came back a third time to do some fixes."